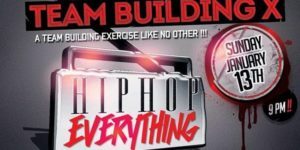 (Team Building Exercise) Come party and solidify your network with Hip Hop’s Indie Hotspot! This is much more than a meet and greet – we building! 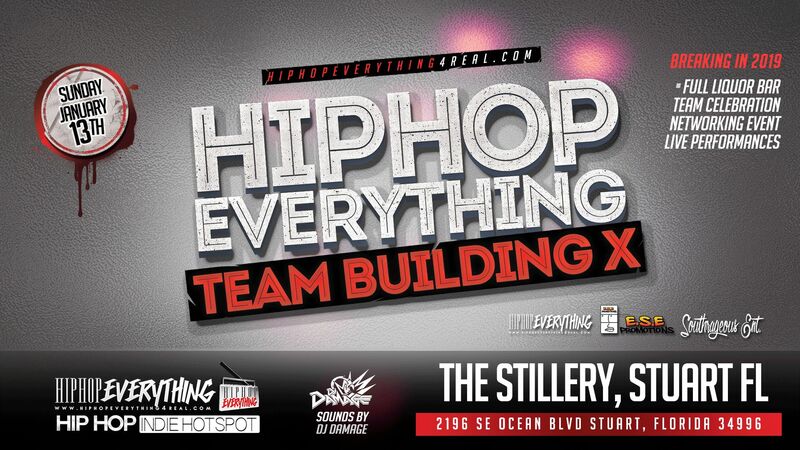 Meet us at ‘The Stillery’ (2196 SE Ocean Blvd. Stuart, Florida 34996) Sunday, January 13th, 2019 at 9 PM for a fun, effective and memorable turn-up, all while networking with some real shakers! Come meet HHE sponsored artists, in-house DJs, affiliates, Hip Hop heads and get acquainted with brands dedicated to today’s independent movement. !